WSJT-X Ubuntu configuration is pretty simple. If you are familiar with WSJT-X but you ran it on other OS then all of this is probably obvious to you. Most settings menus are the same, options layout is the same. What differs is audio port setup and RIG control configuration which is shown below based on Icom IC-7300. 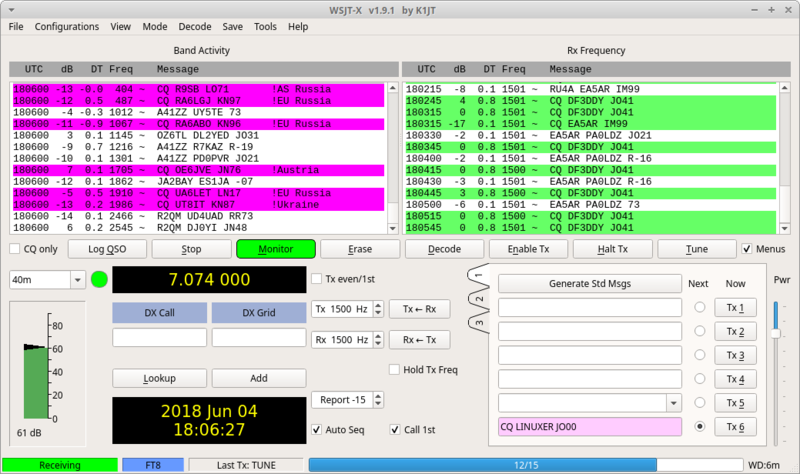 Just in case you didn’t install WSJT-X yet you can read how to do so here. Configuration is done in a few simple steps. First start WSJT-X and go to configuration section: File -> Settings … -> General or just press F2. This few animated gifs show what I changed. Disable TX after sending 73 – useful especially when you are just learning how to operate etc. You can click Test PTT to see if radio will go into TX mode. If everything is configured correctly TRX will go into transmit mode. Here I didn’t change anything. Defaults are correct but I show it just for reference. IC-7300 is visible as USB sound card and ALSA shows it as “Burr Brown from TI USB Audio CODEC”. Save the configuration and if everything went well you should quickly see WSJT-X decoding signals. You might want to tune input/output levels of IC-7300 sound interface to get best results. 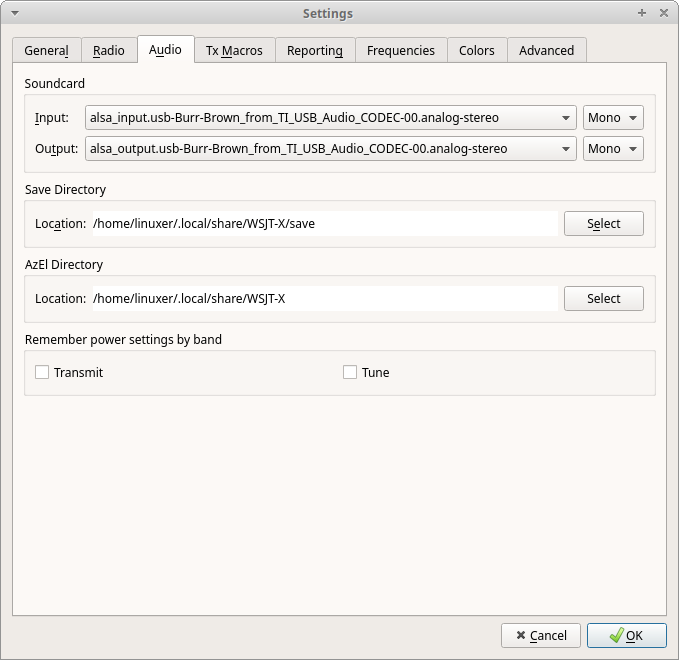 Audio volume control can be done with pavucontrol. This is an example of working WSJT-X in FT8 mode on 40m band. As you probably know digital modes are very sensitive to time synchronization issues. Thankfully Ubuntu deals with this task very well out of the box. Most likely you don’t have to do anything with this. In any case you can have a read on time synchronization topic here: Time Synchronization on Ubuntu 18.04. WSJT-X keeps QSO log file in ADI format in ~/.local/share/WSJT-X/wsjtx_log.adi file. If you use sites like eQSL.cc you can upload this file directly to outbox to confirm your QSOs. If you have any questions regarding this don’t hesistate to contact me.